Huge and exciting day for me as I released episode 2 of my new series, Trash Talk! 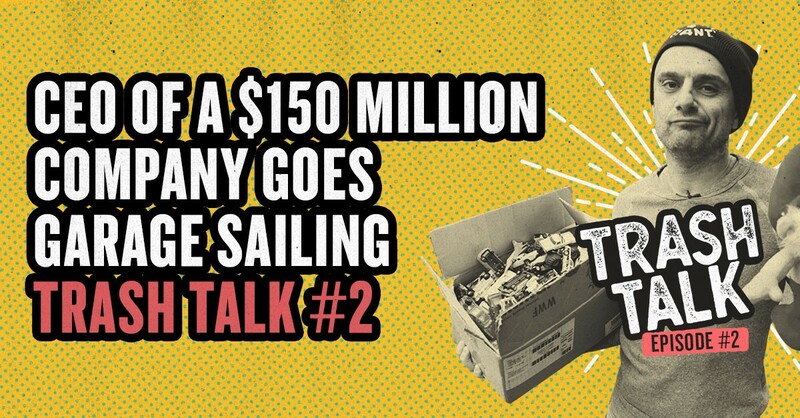 Trash Talk is a new series where you can actually watch me go garage sailing, pick out items, negotiate with sellers, and find what the items are worth on eBay. People always ask me why.I go garage sailing on the weekends. I get a bigger high when I find a great product on eBay than when I close a multi-million dollar deal for VaynerMedia. That’s why I continue to do it. Another reason I do it is to show people how practical it is to make an extra $100 — $1000 / week by re-listing garage sale items on eBay. For a lot of people, that’s a meaningful amount of money that could help them pay for rent or cover other expenses. In this article, I’ll break down the highlights of Episode 2. I wanted to write a blog post alongside the release of episode 2 to go more in-depth on the tactics. We had an incredible start at the first yard sale we went to in Closter, NJ. The first item was a Thundercat action figure. Thundercat was a cartoon show from the 1980s. I snagged a 1987 action figure for 10 cents, and found out later that it was selling for $35 on eBay. Sometimes when you’re out garage sailing, it’s tough to find the exact product names to search on eBay — you just gotta hack your way around it. 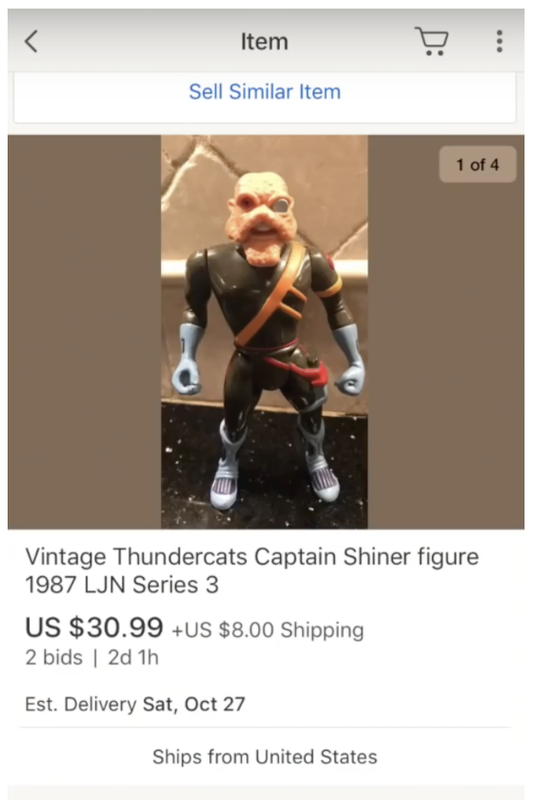 For this particular item, I knew to search “thundercat” because of the “LJN” logo underneath (LJN is the toy company that manufactures Thundercats). I listed it later for $30.99. 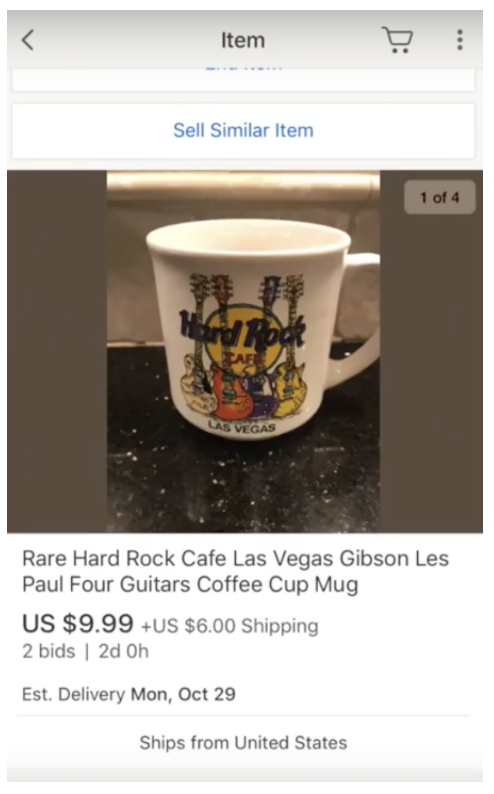 I also got a Hard Rock Cafe mug for 50 cents, which I listed later for $9.99. But the biggest find was a giant box of Matchbox and Hot Wheels cars I snagged for $10. The condition of the cars was pretty rough, but I felt like it would still be profitable since there’s a lot of nostalgia around Hot Wheels. One important thing to be aware of is that not all garage sale items are worth buying. At the second garage sale, a lady had some incredible action figures and toy cars from Disney, but wanted $2 a piece. I wanted to buy the whole 30-car bag for $2. And as much as I like negotiating, I don’t like insulting. There was a pretty big delta between what she wanted ($60) and what I wanted to pay ($2) so I just walked away. At the third garage sale, I went in looking video games and coffee mugs, but ended up getting something different. 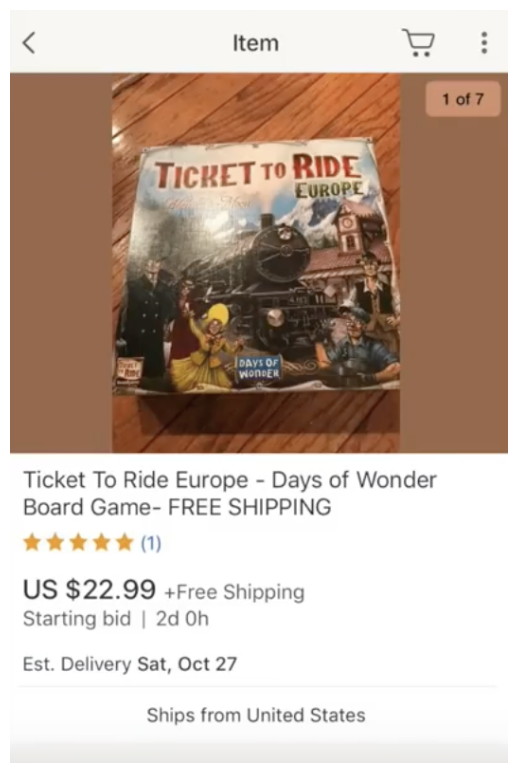 I got a “Ticket to Ride: Europe” board game for $2 (negotiated the seller down from $3). I looked it up under “Sold Listings” when I got back to my car, and saw it going for anywhere between $20 — $40. I ended up listing it for $22.99. After wrapping up our first 6–7 sales in Closter, we headed over to Madison, NJ to hit up a few more garage sales. One thing you quickly learn is, not every item is gonna sell for as much as you expect on eBay. I bought a Star Wars item for $2 and thought it was going to be insanely valuable. I handed it to my assistant Tyler to look it up while I went to another sale. Turns out it was selling for way less than I thought. It’s just part of the process. But the profits you get from the winning items will still make it worth it. People think they have to be early to profit from garage sale flipping, but a lot of my best “finds” happened later in the day. You just have to be smart about what you buy. I ended up getting another giant box of Matchbox and Hotwheels cars for $40, plus another vintage box for $5. After checking on the app, I found out just one of those Matchbox items was already worth $15 — $16. I also bought 245 pins for $20 total which will end up going for $200 — $500, depending on whether I sell it in bulk or individually. Thomas the Train toys for $5. I bought a ton of Thomas the Train items for $5 at 1:07pm. The case alone was worth $20 — $30. Cat in the Hat stuffed animal for $0.50. I paid 50 cents for a Dr. Seuss Cat in the Hat toy that I relisted for $14.99. Bambi toy for $0.50. Another incredible find for under $1 that I relisted for $13.99. All in all, I spent about $100 this past weekend, and there’s no doubt in my mind that these items will bring in well over $1000 from eBay. Now… I want to hand it over to Justin. He and my team helped me organize and list all the Matchbox cars and Olympic pins on eBay. I’ll let him talk to you about how we did it. 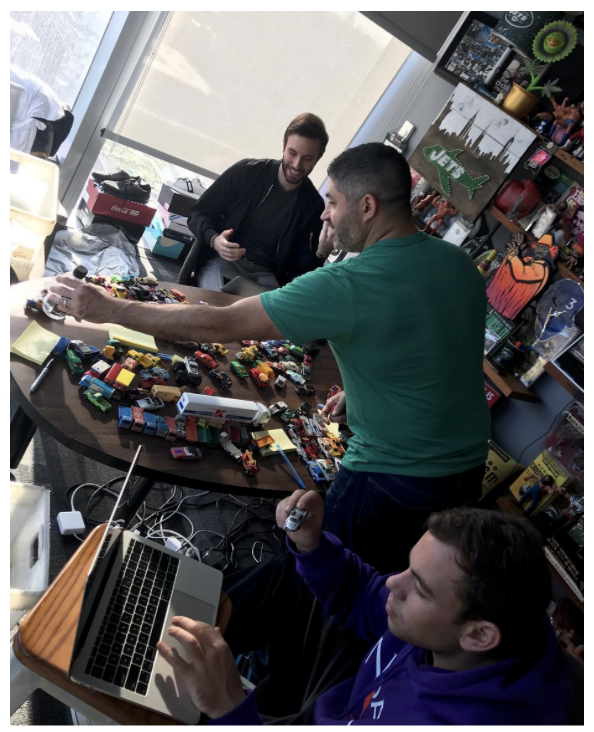 I work on influencer partnerships on Team Gary at VaynerMedia. I’ve worked with Gary for 16 years at Wine Library & VaynerMedia, and I’m a huge fan of the flip game. I’ve been flipping with Gary since 2002. Our team and I helped Gary re-organize all the toy cars and pins and list them on eBay. Once you’ve got your item from a garage sale, the first step is to figure out what similar items have been selling for on eBay. Best way to do this is by typing the item name in eBay search, then scrolling down and clicking “sold items.” Then filtering by highest cost sold for. For example, we had an Orange Hot Wheels Redline truck that we saw being sold for anywhere between $39 — $64 (in similar condition). A couple of important things to pay attention to when finding similar products are the color and condition. Based on what the item is selling for and condition compared to others sold, list your own “starting bid.” You’ve options to set a reserve price or have a “Buy it Now” option. We don’t use these options. 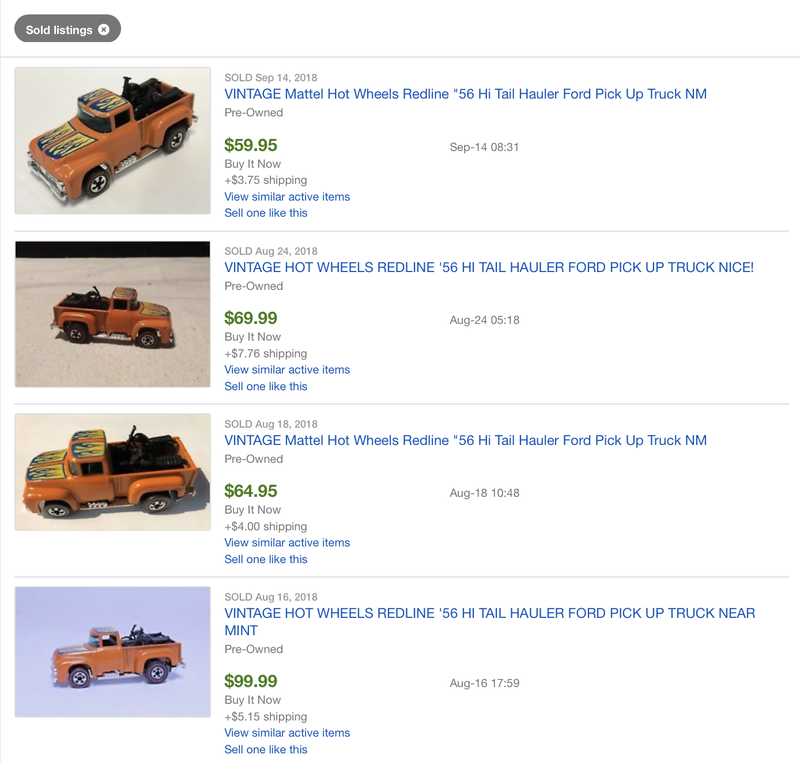 For our Orange Hot Wheels pickup truck, we iisted it for $49.99 plus shipping. We list in auction format, where buyers can make bids. Now eBay has a new feature which allows buyers to make an offer during the auction. Depending on the sellers settings, buyer can make offers any cost below the current starting bid or even significantly above the starting bid price. You receive offers over the current bid at anytime during the auction. You can also choose to accept the “best offer” as well. When you add the best offer option, you’re basically inviting buyers to negotiate with you. If you have an auction along with the “best offer” feature, buyers will be able to make an offer while you start receiving bids. List it on eBay for the price that similar products have been selling for. Be patient. Wait till it sells. Garage sale flips are an incredible way to make an extra few hundred (or a thousand) bucks on the side every single weekend. Feel free to DM me at @JustinNovello if you have any questions about eBay, flipping, or garage sailing! If you found this article useful, hit the “clap” button below! This article was originally posted on GaryVaynerchuk.com with the title Garage Sale Arbitrage: Finding Products You Can Buy Cheap and Sell High.